There is nothing more indulgent than chocolate truffles, am I right? Rich, creamy, velevety chocolate deliciousness. 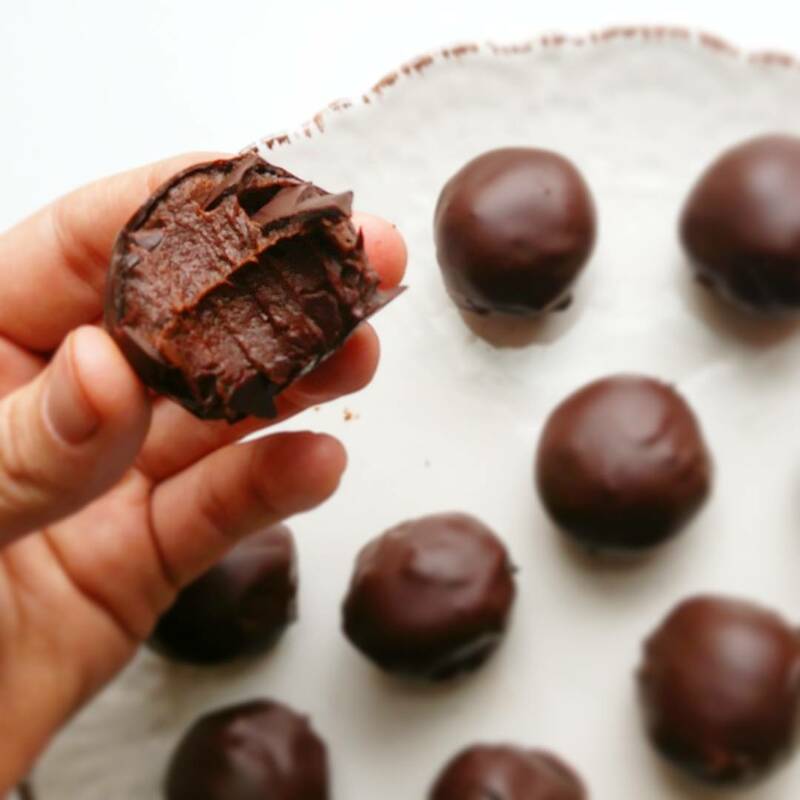 These truffles are one of my favorites to make and can you believe they are also nutrient dense? No one would ever guess just how healthy they are, not even my husband had a clue! He just gobbled them right up. And he doesn’t even do sweets (I know, I don’t get it either!) so that says it all! These Chocolate Truffles are made with natural ingredients that will nourish your body and make you do the happy dance! They are perfect as a snack or dessert and make a wonderful hostess gift. 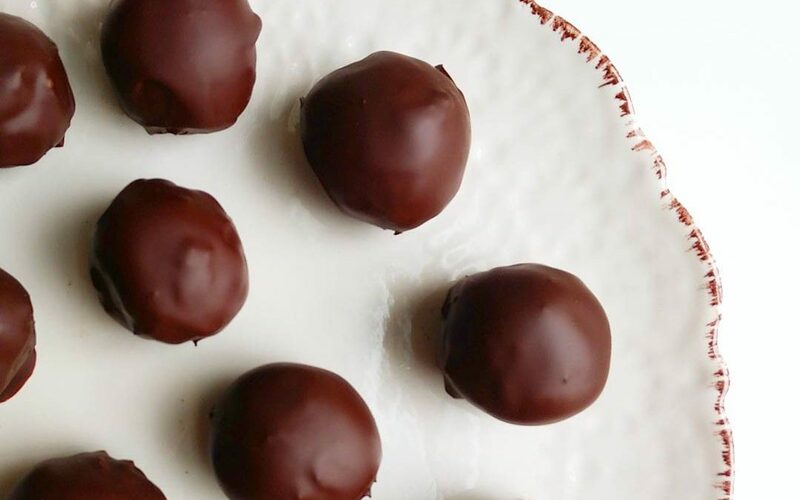 The (not so) secret ingredient here is sweet potatoes which give these truffles its creaminess and are loaded with beta carotene, a nutrient that converts to vitamin A in your body. Beta-carotene helps to keep your skin healthy, prevent degenerative diseases, and maintain healthy vision. Sweet potatoes also provide fiber, which is a prime factor for good gut health, and B vitamins to keep you energized. It’s also loaded with potassium, an important mineral for regulting blood pressure and is needed for nerve and muscle function. The best way to prepare sweet potatoes (or any vegetable, really) is to steam them. Steaming will help retain the most nutrients. The second best way is to roast them. Avoid boiling vegetables as much of the nutrients will leach out to the water. Enjoy these heavenly bites and (try to) share. I promise no one will believe you when you tell them how nutritious they are. They’re that good! GET IT! Transfer mixture into a bowl, cover and freeze for at least 4 hours. Remove from freezer and using a small cookie scooper, roll into 1 inch balls and place on prepared baking sheet lined with parchment paper. You may need to wet your hands a bit if it gets sticky. Return balls to freezer and freeze over night. Dip each ball into melted chocolate (rolling them around with a fork) and return to baking sheet. Returen to freezer for at least 1 hour and enjoy! Store in freezer.